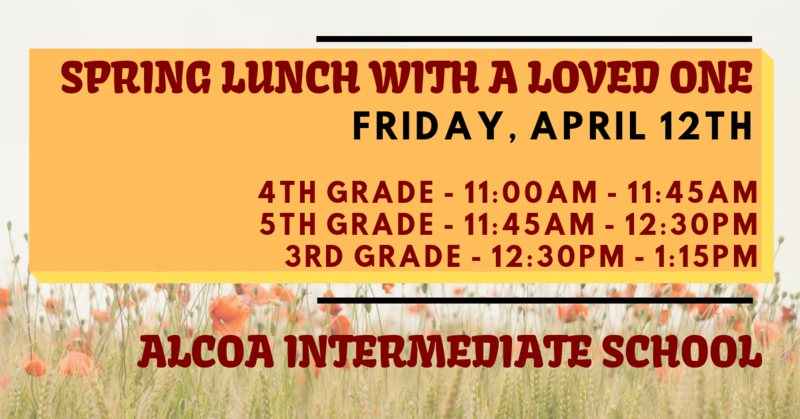 Friday, April 12th is one of our favorite events of the year, Lunch with a Loved One. 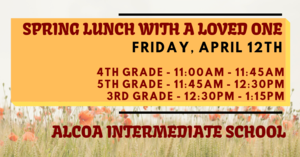 Come out and enjoy lunch with your student outside on the recess field. Feel free to bring camping chairs and blankets.